Our museum trip was interesting and educational. 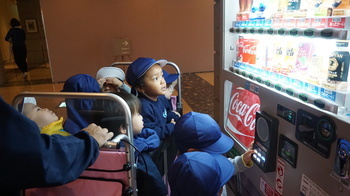 However, we walked a lot, so we made sure to hydrate ourselves. 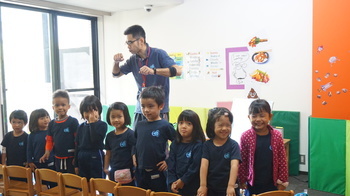 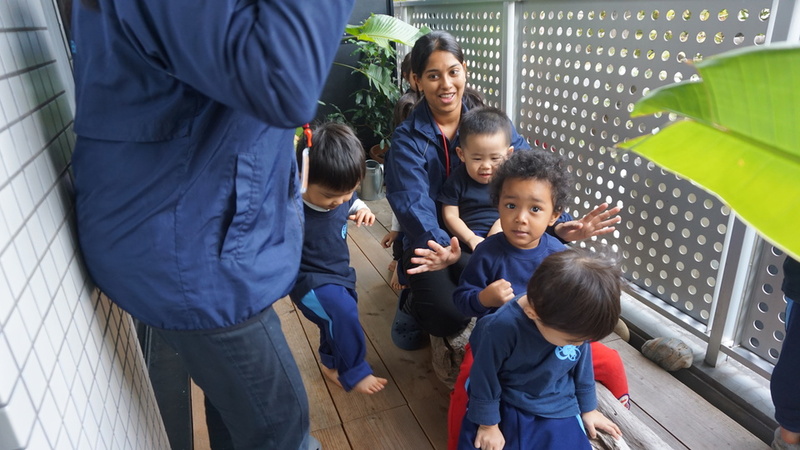 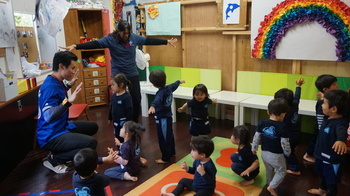 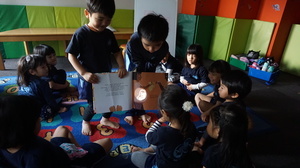 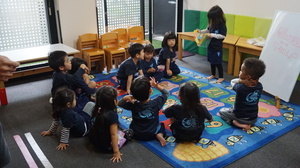 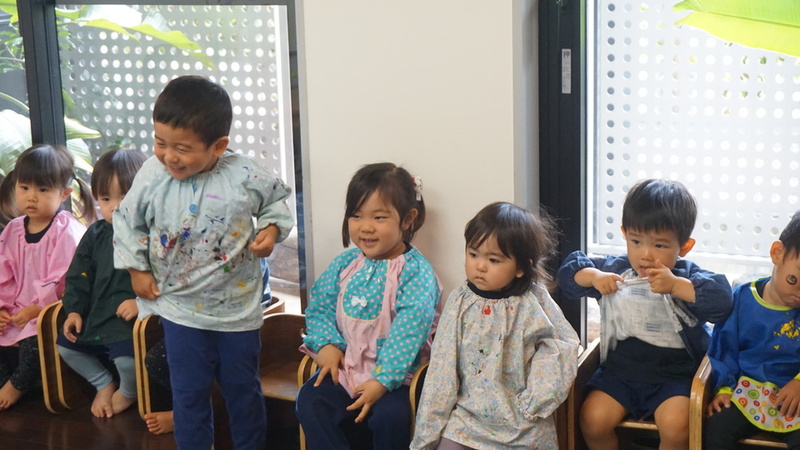 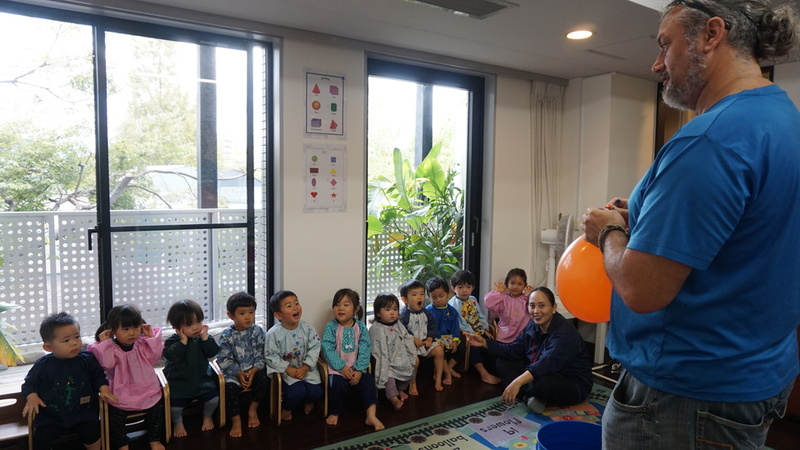 In today`s music class we sang and danced a lot. 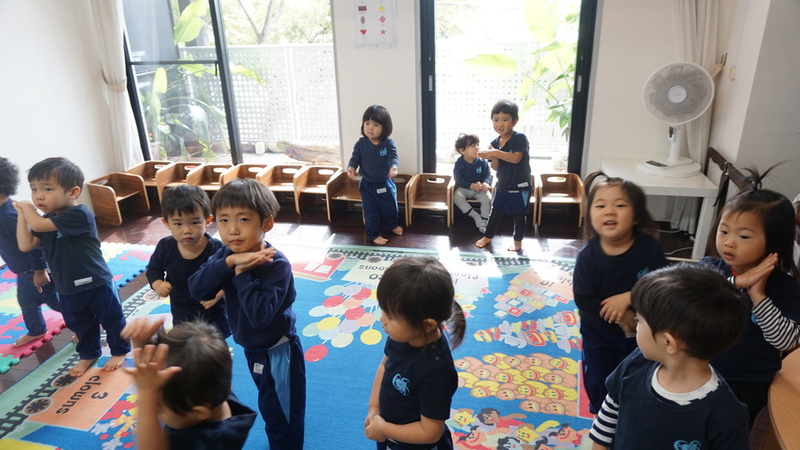 Today`s phrase is "Can you see the cat?" 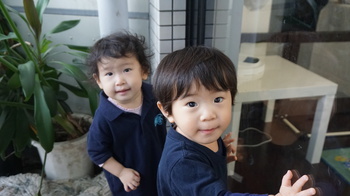 Today we enjoyed the autumn`s wind while we were on the balcony. 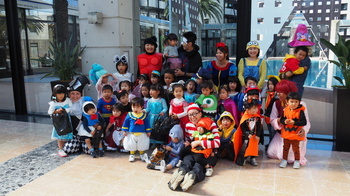 It was cool and pleasant! 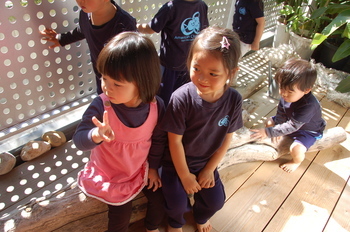 We also pretended to drive a car when we sat on the log! 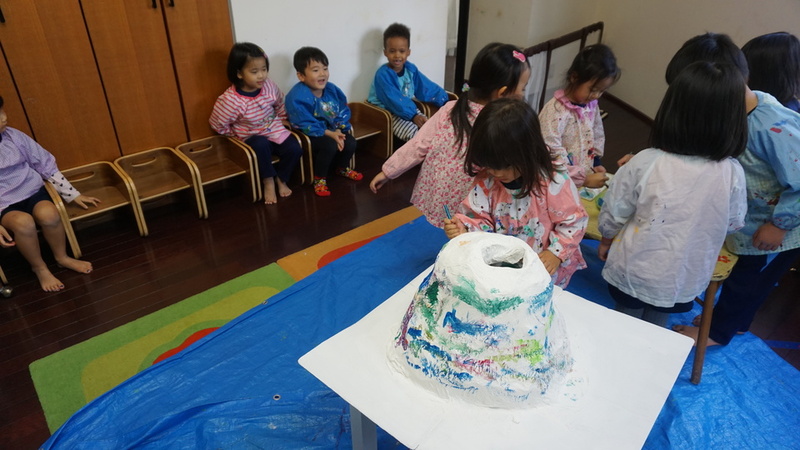 After lunch we worked on The rainbow volcano project! 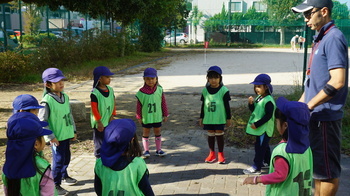 Today`s phrase is whats the weather like? 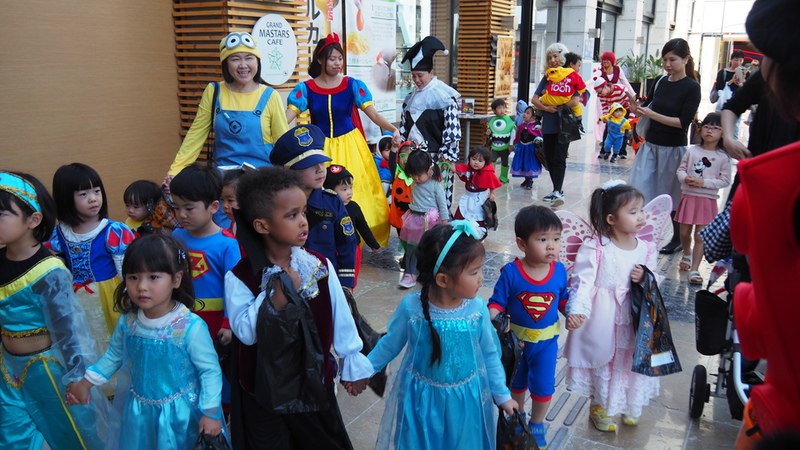 Today`s main event was the costume parade. 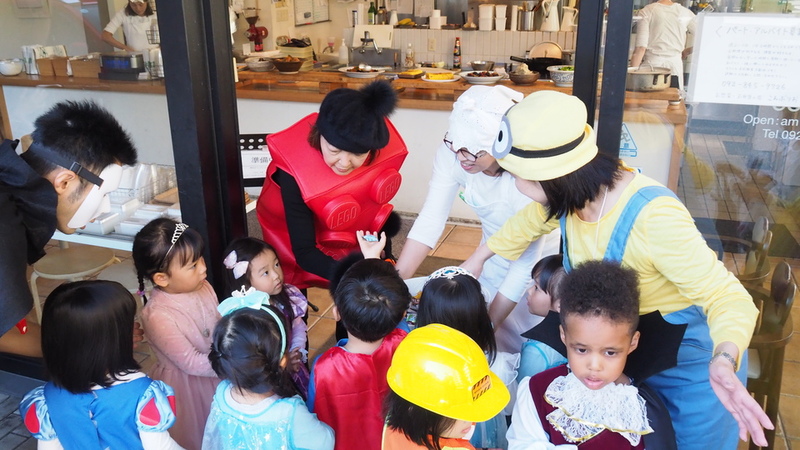 Where the students wore the cutest costumes ever! After lunch it was Halloween craft time! 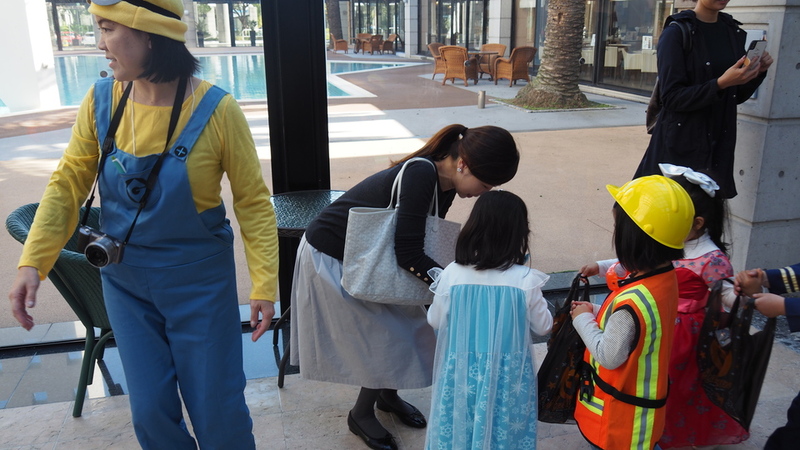 Today`s Phrase is Trick or Treat! 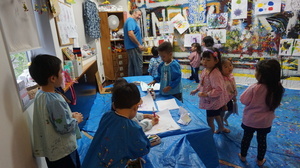 Everyone enjoyed their art class with Mr. Dover. Some even jumped out of excitement! The Ladybug and Butterfly (3 yr. old) classes had an amazing Show and Tell. 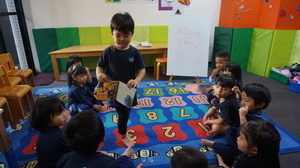 They were all very keen in explaining their chosen item to present to the class. 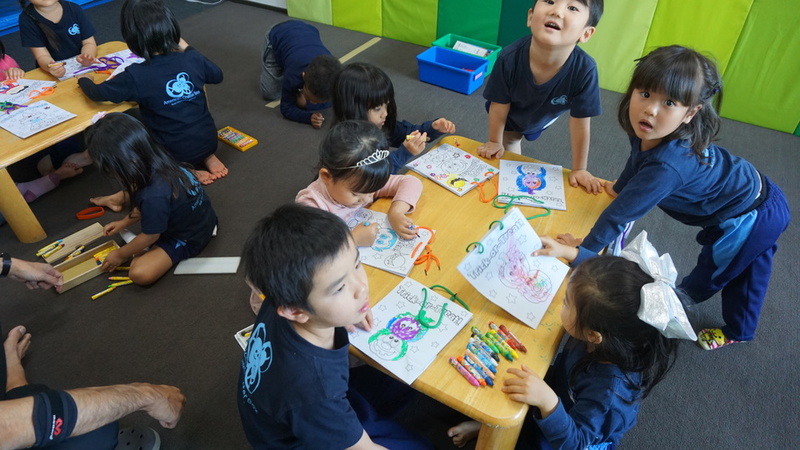 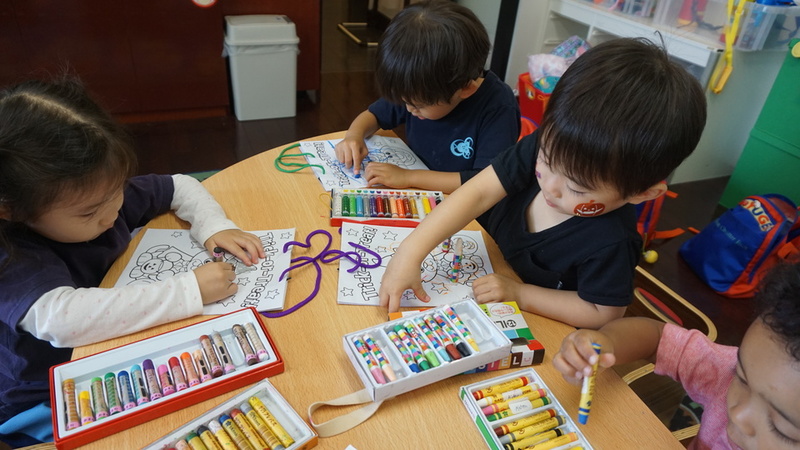 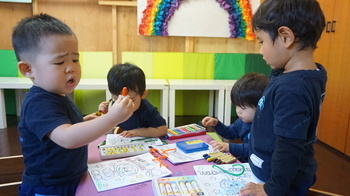 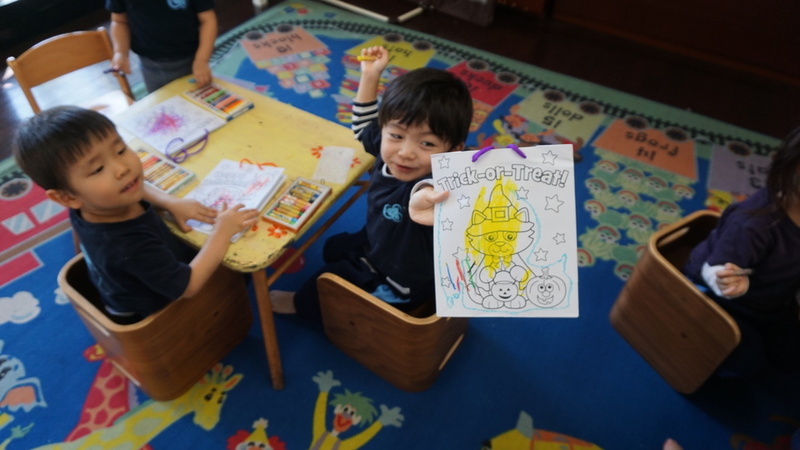 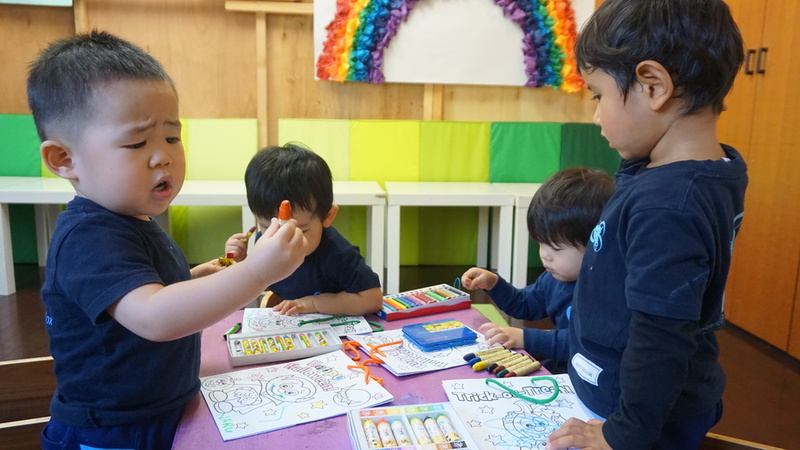 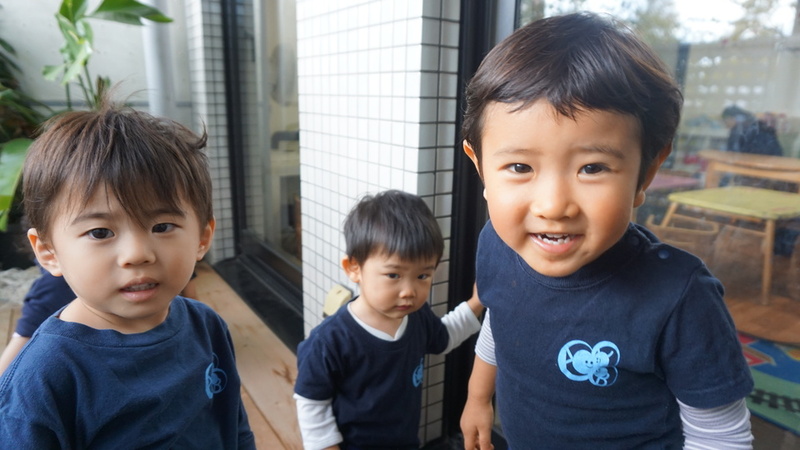 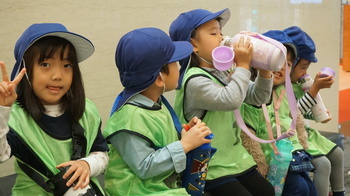 This fun activity helps them to speak a lot of english! 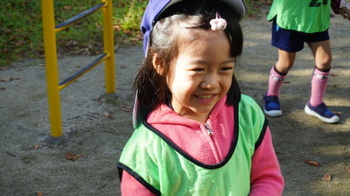 The day started off with some some good fun in the park! 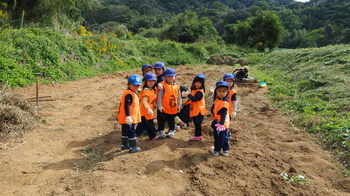 The weather is great at this time of day, and there were no mosquitoes to worry about. Afterwards during medical lesson the students learned to describe all the things that they could hear. 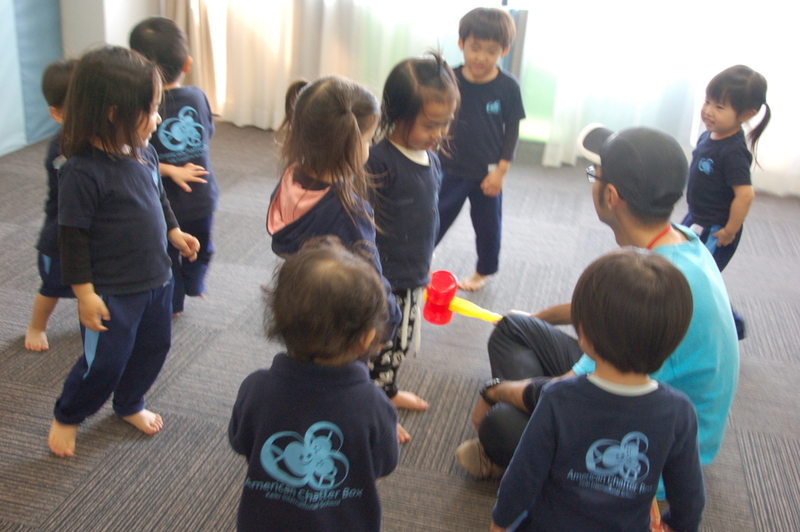 Sentences included 'I can hear something _______' and 'I can hear someone _________' Once the kids got the hang of it we played a game for them to guess. 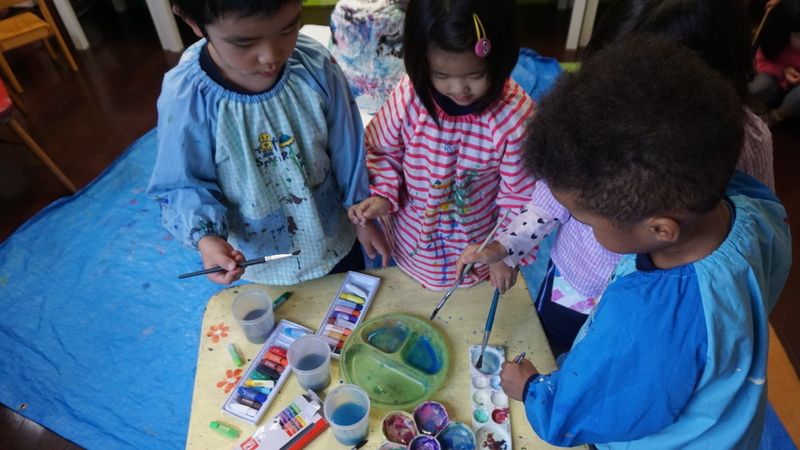 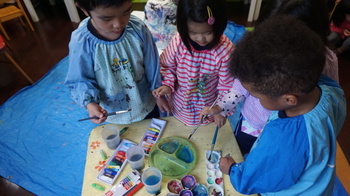 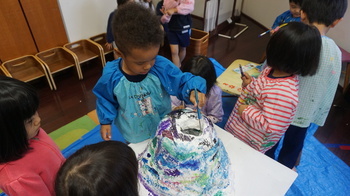 In the afternoon the Keiki children continued working on their volcano project in Reggio lesson. 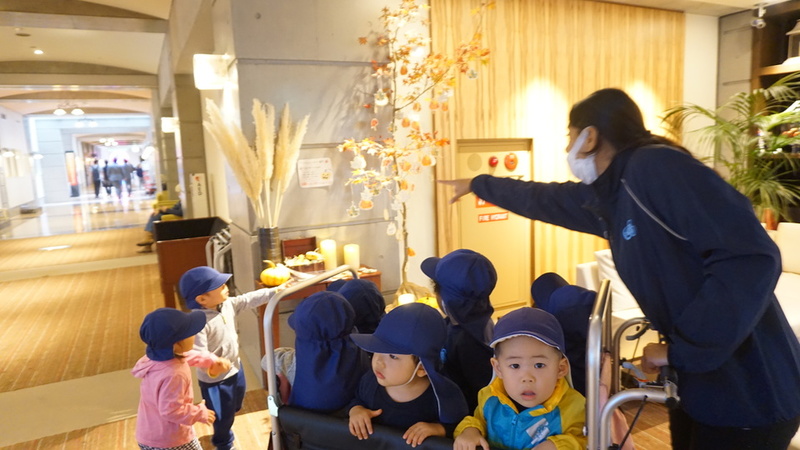 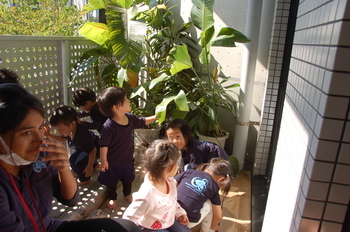 The small kids in the meanwhile had the chance of going outside to the balcony and to explore their surroundings. 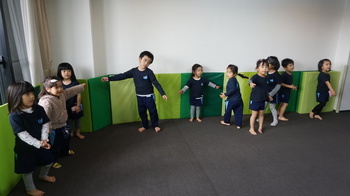 We had a fun and active day today! 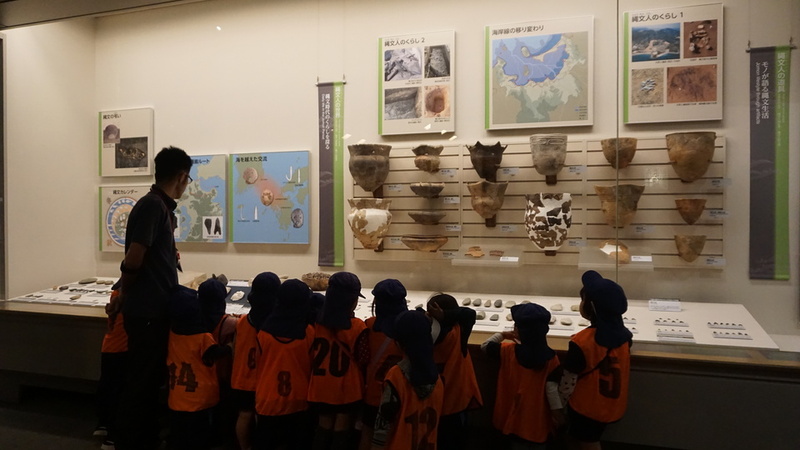 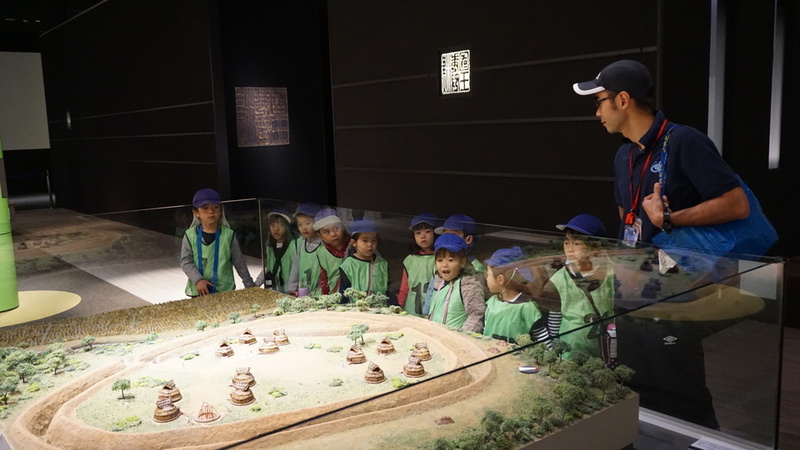 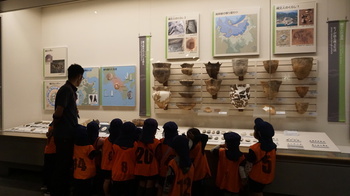 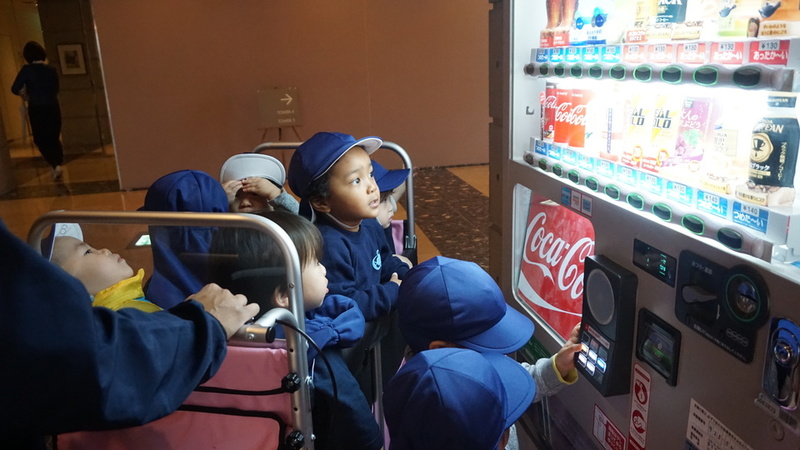 We learnt a lot when we went to the museum. 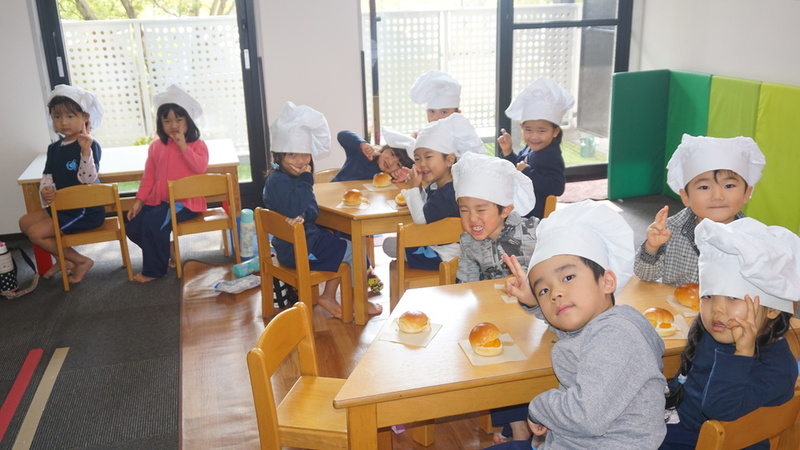 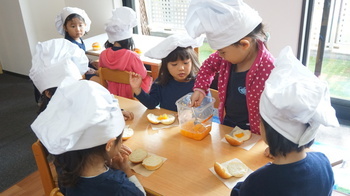 We made fruit burgers in cooking lesson. 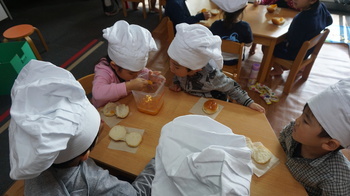 It was very yummy! 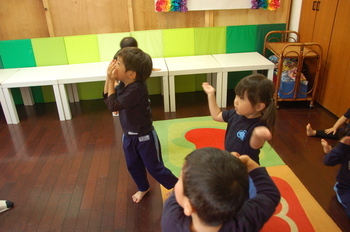 After lunch we moved and stretched a lot in Kid-Fit and music lesson. 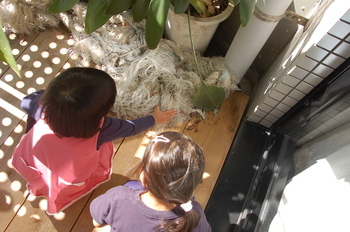 Today`s phrase is "What can you see ?" 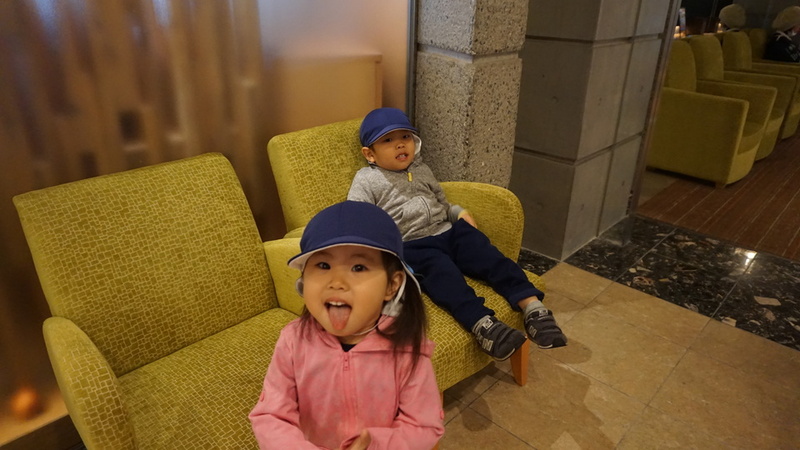 In the morning we went to the hotel`s lobby to find things in different shapes. When we came back it was lunch time. So we ate the potatoes that we dug up yesterday! After lunch we started perparing to make our volcano. 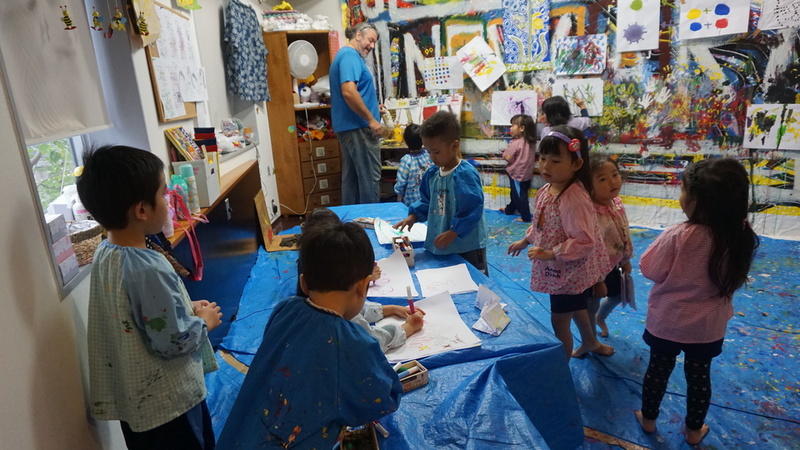 We started Keiki After School lessons for Ladybug and Butterfly 3 students from October. 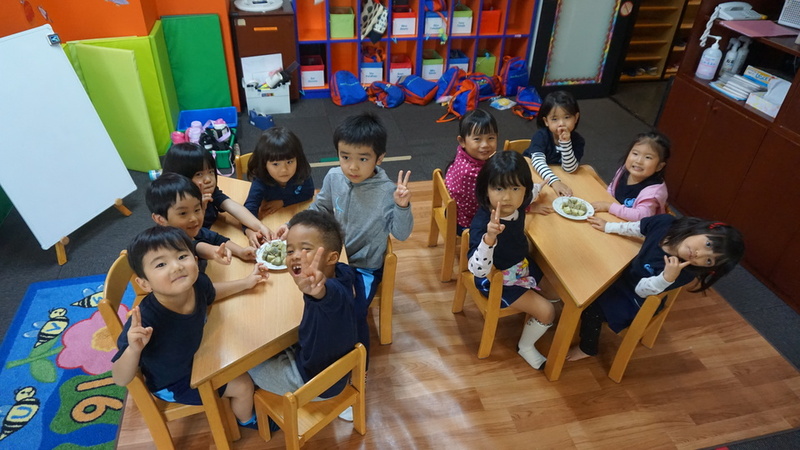 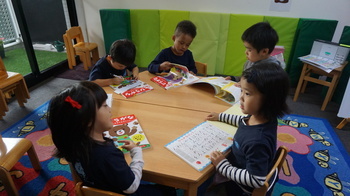 We had a fun Japanese lesson after school today. Today`s phrase is "Which is bigger?" 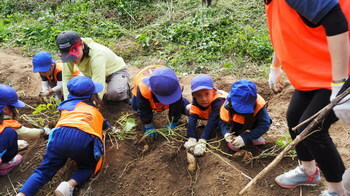 Today the big kids went on a potato digging excursion! 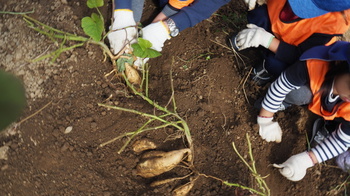 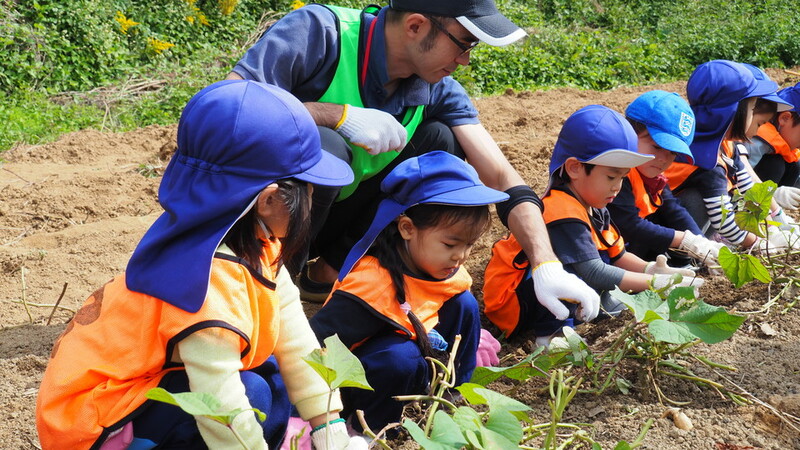 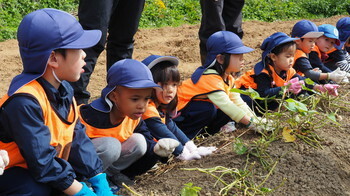 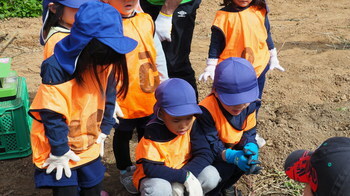 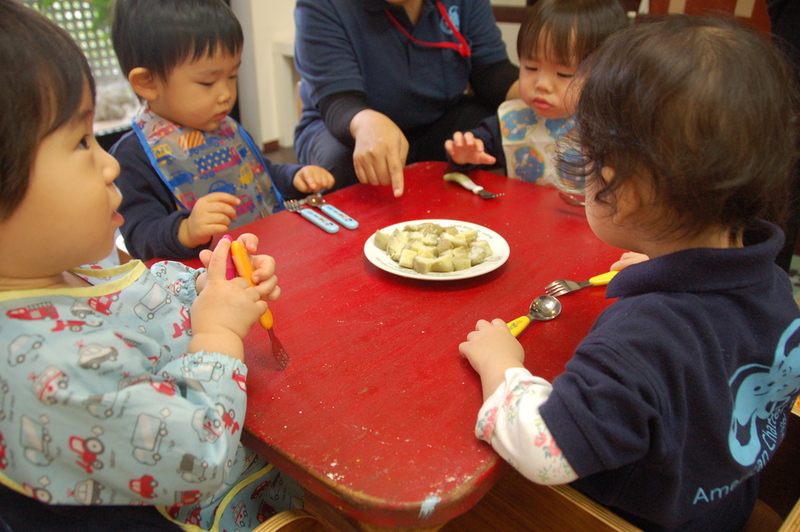 They had a lot of fun digging out potatoes, but we small kids had our own fun by singing along to the monthly song!